Does excessive packaging drive you crazy? Do you want to choose packaging that can be reused or recycled but have other things on your mind when you’re shopping? Well, we are here to help! We aim to show that by working together we can make a difference. We want to dispel any rumours and myths surrounding packaging, give people the knowledge they need, and help them be part of the solution rather than unwittingly contribute to the problem. 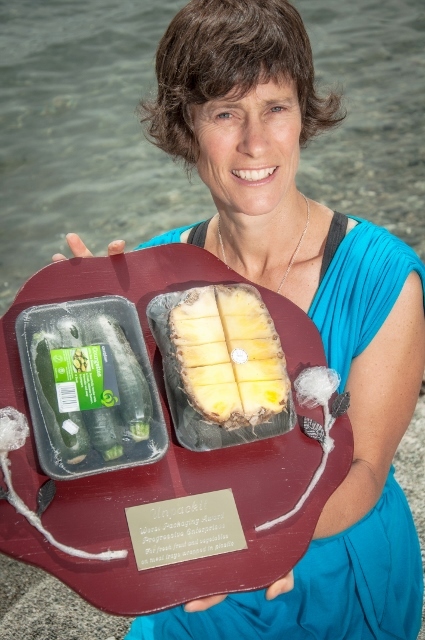 From 2010-2013, Wanaka Wastebusters created and ran the Unpackit Best and Worst Packaging Awards. The Unpackit Awards recognised the best and worst packaging in New Zealand, as chosen by you, the public. We have also developed a Smart Packaging website with loads of information about packaging materials, including bioplastics. By working together, we can get companies to think more about the environmental impact of their packaging, and reduce packaging waste. Join the conversation at Unpackit’s facebook page and don’t forget to Like us while you’re there. Wanaka Wastebusters received funding from the Waste Minimisation Fund to run the Unpackit Awards from 2010-2013. The funding is administered by the Ministry for the Environment.